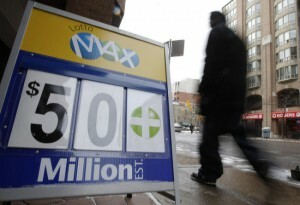 Ontario Lotto and Gaming Corporation had yet to receive a confirmation from the $50M jackpot prize winner of Lotto Max drawn last December 30, 2011. 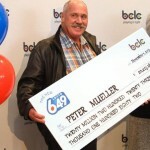 Several news stories have overtaken the final announcement from OLG that an Ontario couple had already claimed the possession of the winning ticket for the 2011 end of year Lotto Max jackpot. 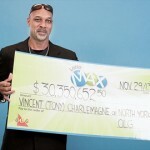 The couple identified as Gaetan (51 years old) and Jo Ann Champagne (49 years old), told the media that they bought the ticket in a pharmacy while going after the Boxing Day sales. The next day Jo Ann placed her ticket in the lottery results ticket checker and it read 50,000. She was already thinking of getting rid of her old bathroom and placing new cupboards in her kitchen for the amount of the prize she had won. Neither did she know that she missed several more zeros that complete her winning of $50 M. Now they are more excited to claim their jackpot prize within this week and realize their long time dream of becoming a millionaire. 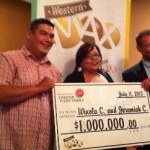 The couple shared their sentiments of playing the lotto for 20 years without getting much luck until last December 30. For 12 years they also owned a convenience store in Hawkesbury which they later on sold and replaced with a hobby shop catering jerseys and hockey cards. 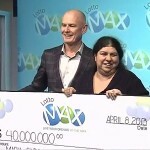 Jo Ann confirms going to the OLG morning of Wednesday this week to finally receive their money. 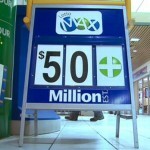 OLG also claimed that there is one winning ticket for the $50M Lotto Max draw whose ticket is from the Ontario region.